All web browsers have a cache component to them to store bits of information to make the loading of frequently visited pages faster. However, the cache does not always work to your advantage especially when web pages have been updated and your web browser’s cache is trying to recall the web page’s information from the cache directory. You may experience slow loading or incomplete pages. Keeping your web browser current with the most recent version will load pages faster and help with online security. Read the few paragraphs listed below and occasionally clear your web browser’s cache, your web browser will thank you for it. Cache is a component that transparently stores data so that future requests for that data can be served faster. Cache (pronounced CASH) is a place to store something temporarily. The files you automatically request by looking at a Web page are stored on your hard disk in a cache sub-directory under the directory for your browser (for example, Internet Explorer). When you return to a page you’ve recently looked at, the browser can get it from the cache rather than the original server, saving you time and the network the burden of some additional traffic. 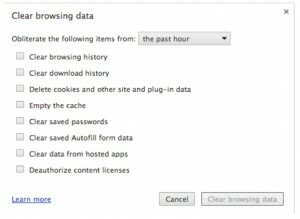 What are Browser Cache and Cookies and why should they be deleted regularly? Any website you visit is actually a composition of hundreds or even thousands of files. Even websites which are highly optimized for speed are likely to load a lot of files at any point to display the content in your browser. Browsers try to do their part to speed up the loading process. The first time you visit a site, the browser will save pieces of the site, because the browser can display the files stored in its cache much faster than it can pull fresh files from a server. The next time you visit that site, the cached files will help cut down the page load time. 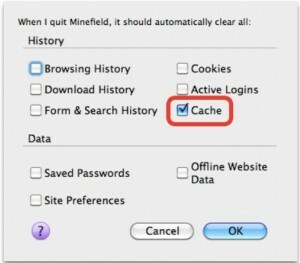 Why should we remove those saved files (Cache and Cookies) though they are helpful in faster loading of the web pages? Many times web developers have to make updates to the files that comprise your site in order to push a change or new feature live. If we change a file that your browser has cached, it’s going to keep serving the old, cached version of the file and you won’t see our most recent changes. This is when, you may encounter browser errors like run time error, buttons missing on the page, unable to save the Timesheet, Timesheet doesn’t allow you to enter time, the action performed doesn’t respond appropriately etc. Club Penguin for example, updates new content every week and sometimes a web browser will load old content that was cached (saved) rather than new files. This is known as a ‘cache error’. It can cause slow loading and login, and can display old content instead of new content. Clearing the Cache and Cookies in a browser helps fix these issues. How Do I Clear the Cache in My Internet Explorer Browser? As far as troubleshooting a problem goes, deleting temporary Internet files is helpful when a web page won’t load but you’re pretty confident that the site works for others. Deleting the temporary Internet files in Internet Explorer is safe and won’t remove other things like cookies, passwords, etc..
1. Open Internet Explorer 11. Note: If you have the Menu bar enabled, you can instead click Tools and then Delete browsing history…. As soon as your cursor returns to normal, or you notice the “fished deleting” message at the bottom of the screen, consider your temporary Internet files deleted. How Do I Clear the Cache in My Google Chrome Browser? 4. In the dialog that appears, select the check-boxes for the types of information that you want to remove. 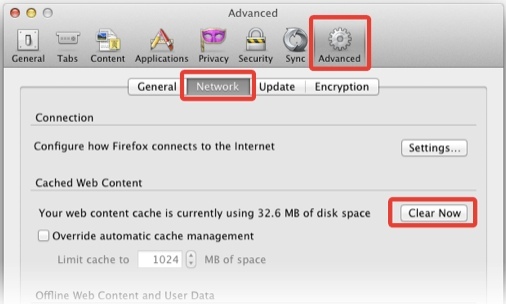 How Do I Clear the Cache in My Safari Browser? Clear the list of webpages you visited to help maintain privacy. Choose History > Clear History, then click Clear. Safari also clears caches and the list of recent searches, and removes the website icons that appear in the search and address field. Choose History > Show History, select history entries and daily sets of entries, then press Delete. How Do I Clear the Cache in My Firefox Browser? 2. Select the Advanced panel. 3. Click on the Network tab. 4. In the Cached Web Content section, click Clear Now. 3. In the History section, set Firefox will: to Use custom settings for history. 4. 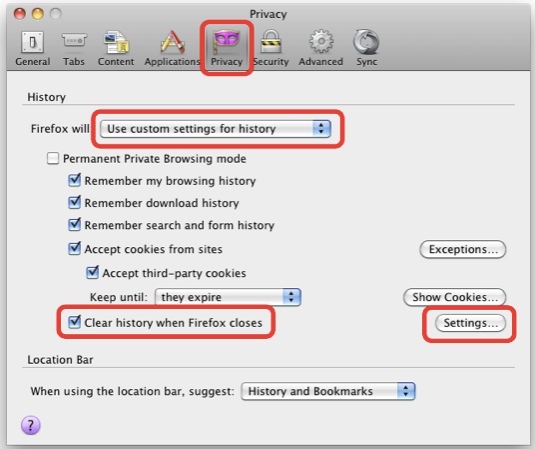 Select the check box for Clear history when Firefox closes. 5. 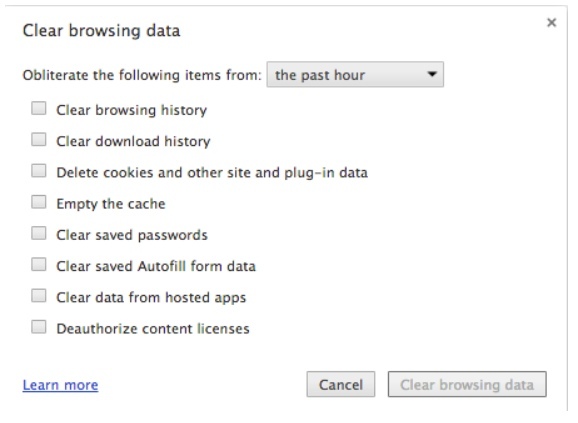 Beside Clear history when Firefox closes, click the Settings… button. The Settings for Clearing History window will open. 6. 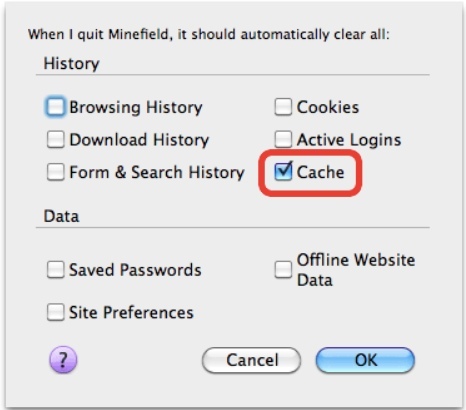 In the Settings for Clearing History window, click the check mark box next to Cache. 7. Click OK to close the Settings for Clearing History window. “Strategy First” is our mantra when it comes to helping you implement successful marketing programs. Visualize and define your successful outcome, understand your ideal customer and what their needs are, build messaging and content, and use today’s technologies to connect and engage with your prospects and customers.